Come join us for an action packed class on the importance of exercise and nutrition as Life Changing Dinners partners with Muscles in Motion Owner and CEO, Diana Del Garbino and Chef Sonja Andersen. Easy Pre and Post Workout Recipes, what to eat and when to eat! Learn about the Body Composition Challenge and cooking classes for April! Our Muscles in Motion healthy body series continues in March with an educational seminar presented by Certified Personal Trainers Patrick Long and Corrado Pitari. The sessions at Muscles in Motion are designed around a scientific-based approach to exercise. The research shows that 2-3 thirty minute workouts per week will change your body’s composition (muscle vs fat) and give you a better quality of life. Join us for this seminar on Body Composition to learn about the importance of a healthy muscle vs fat ratio. Get true answers to your health and fitness questions from the professionals at Muscles in Motion. Lastly, find out how to join the Fire-Up Your Fitness program starting in April to begin applying the information from the seminar to your everyday life! Increase lean muscle and lose significant body fat in the Body Comp Challenge. The goal of the Body Comp Challenge is to challenge ourselves to improve our body composition and quantify our progress in an intelligent manner; rather than weighing oneself on a scale (which doesn’t measure fat loss, just weight loss). •Two 30-minute goal-setting consultations. Each consult includes body composition analysis and positive approach to exercise. •Weekly 30-minute specific exercise prescriptions. •Raffle prizes, local discounts and more! Benefits of day-to-day living when following a steady resistance exercise prescription, the impact of falling away from the prescription, and tips on ways to maintain accountability to that routine during busy times. Saturday November 10th @ 1pm. Come on out for a Night of Indulgence! The Upper Cervical Clinic, LLC will be hosting this event bringing local health, retail, and service professionals together for fun, mingling and indulging! Diana Del Garbino, CEO and OWNER of Muscles in Motion will be at the Muscles in Motion booth sharing information and offering FREE workouts to those attending the event. This is a night to TREAT YOURSELF, Ladies! Please RSVP to let us know you’re coming and how many guests you’ll be bringing. 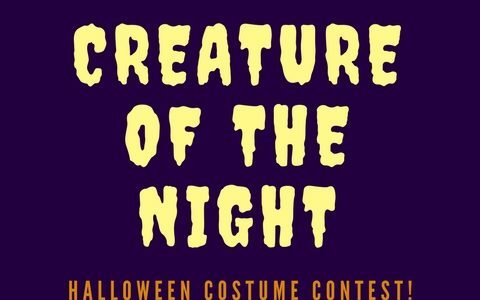 THEME- CREATURE OF THE NIGHT! National Women’s Health and Fitness Day 2018! Women’s Health & Fitness Day is the nation’s largest annual health promotion event for women of all ages. This year’s event is set for Wednesday, September 26, 2018. This unique national program — with participation by local organizations throughout the U.S. — focuses attention on the importance of regular physical activity and health awareness for women. The goal of this event is to encourage women to take control of their health: to learn the facts they need to make smart health choices, and to make time for regular physical activity. You will need a bathing suit or shorts to wear under the wetsuit, and that’s it. 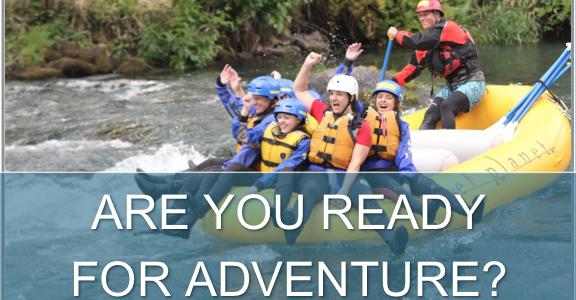 We provide all of the other equipment you will need for your trip (at no charge to you), including wet suits, paddle jackets and fleece, booties, personal flotation devices, helmets, and paddles. All you need to do is show up for the trip, and we take care of the rest. You may also want to bring a towel and change of clothes for the BBQ afterwards. If you wear glasses or sunglasses they need to be secured by a strap. *Please do not apply sunscreen to your forehead! As soon as water splashes your face on the river sunscreen will run into your eyes! Bring focus to your strength and cardio workouts and track your progress on the InBody 520. Clients can increase lean muscle and lose significant body fat in the Body Comp Challenge. The goal of the Body Comp Challenge is to challenge ourselves to improve our body composition and quantify our progress in an intelligent manner; rather than weighing oneself on a scale (which doesn’t measure fat loss, just weight loss), we will be measuring change in body composition (amount of fat weight v. muscle weight). Two 15-minute goal-setting consultationswith your team captain. “Pre-test” on the InBody 520 to establish a baseline body composition reading. Eight 30-minute unique and challenging strength workouts. Portland Axe Throwing brings people of all kinds together. We believe that certain sports have a special ability to do that. Like archery axe throwing has a zen like quality to it when done right. Axe throwing is safer, and it can be learned quicker with our trainers who act as both teacher and lane marshal. No open toed shoes. We don’t want anyone dropping an axe on their feet. Everyone must sign a waiver to throw. The first part of the session is for getting each participant to stick their axe. Get everyone warmed up for games. Play a game to establish the over all winner in a playoff bracket. Winner of match play takes home a new axe to throw!